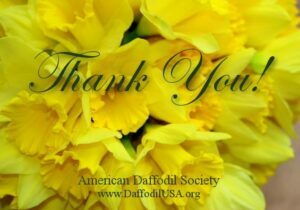 There have been many changes made by the ADS Board of Directors to the ADS Judges Manual (officially known as the Handbook for Growing, Exhibiting, and Judging Daffodils) since the Judges Manual was last updated and printed in 2007. There is now an up to date PDF file that includes all the deletions, additions and changes to the Judges Manual since 2007. The file is formatted to print and includes instructions on how to add the many changes to your Judges Manual. This file should be helpful for judges, student judges and for anyone who wishes to update your 2007 ADS Judges Manual. The PDF file can be found on DaffLibrary.org at this link http://dafflibrary.org/wp-content/uploads/Changes-to-the-2007-Handbook-for-Growing-Exhibiting-and-Judging-Daffodils-January-21-2017.pdf or by visiting Dafflibrary.org, clicking on ADS Pubs, then clicking on ADS Judging Changes, Schools. The document is at the top of the page. Please share this file with your local ADS judges, student judges and anyone who will be judging or student judging your show this year. All ADS judges should be aware of these many changes. If you have any questions, please contact Carolyn Hawkins at . Any thought on re-printing the manual pages with the updates so all we need to do is replace them? Otherwise a lot to copy. Dianne, I would assume a new Judges Manual would be in the works (2007 was a long time ago) soon if not already, but I don’t know. This was an attempt to at least get all the updates and changes to judges and judging students NOW. Jackie, there’s very little to copy. Just print out the pages and insert them into your Judges Manual either in one spot or, my preference, on each page the segment relates to. Where it was a replacement I taped it over the old version. If an addition, I taped it to the edge of the page as a tab that could be raised up to read what’s underneath. I hope this helps for now. Here’s hoping all are enjoying their spring blooms, whether they are early or not! It beats handwriting it, but is a lot of cutting and taping.